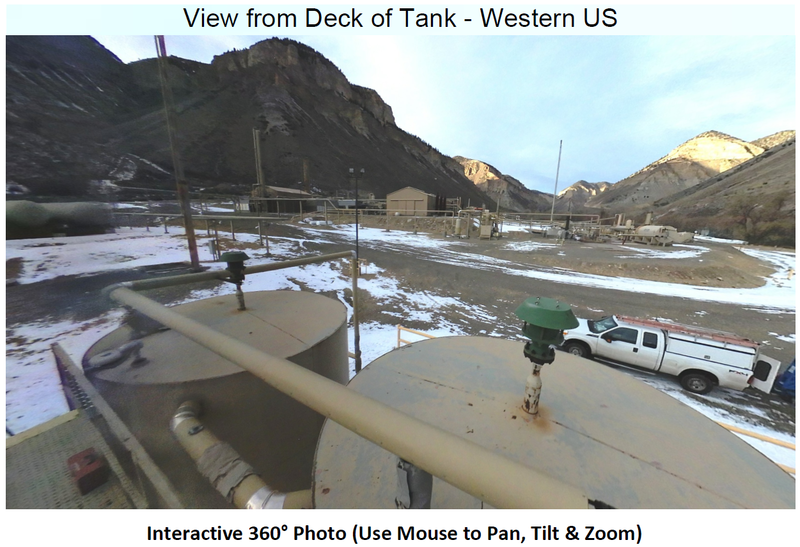 360-degree panoramic photography is now commonly used across industry, from civil engineering and construction inspections to commercial property companies and professional photographers working on the ground and from the sky. The VR spherical images generated in panoramic photography are notoriously large and awkward to open and share without specialist software or streaming sites. That was until PDF3D developed a suite of 3D PDF tools that not only made the offline viewing experience and workflow easier – it also enriched that panoramic image with enhancements and interactive features to bring a standard presentation or brochure into fully animated, three-dimensional tour. 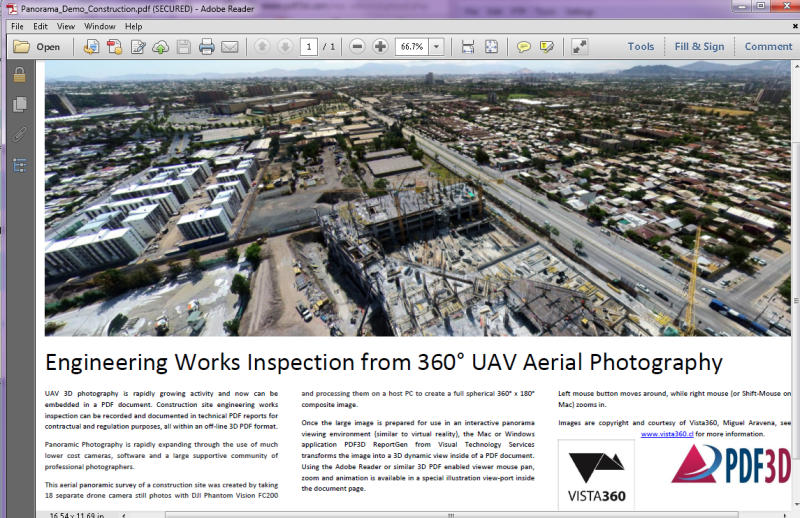 Watch our guide to creating Panoramic 360 Images in a PDF. 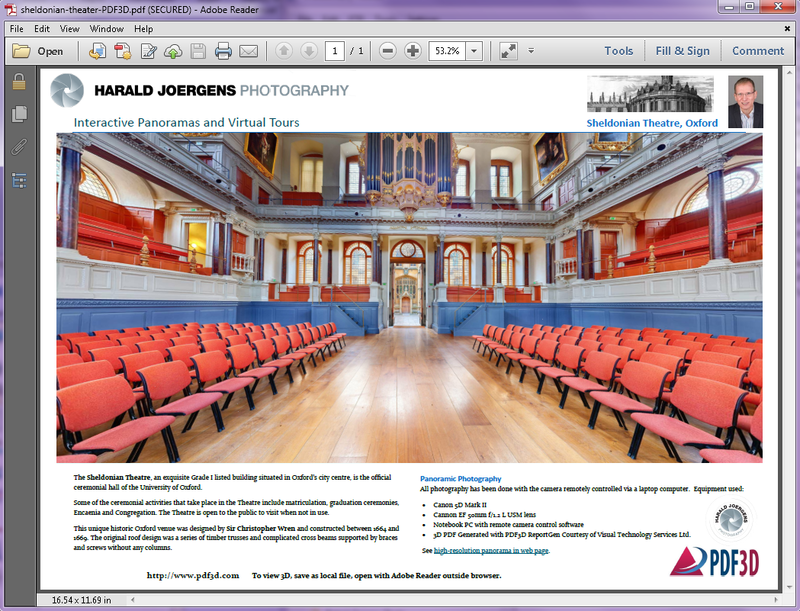 PDF3D’s ReportGen tool works by taking a panoramic JPEG image straight from the camera and converting it directly into PDF in a single operation. Our technology handles all of the complexity in the background - all you do is press the convert button. 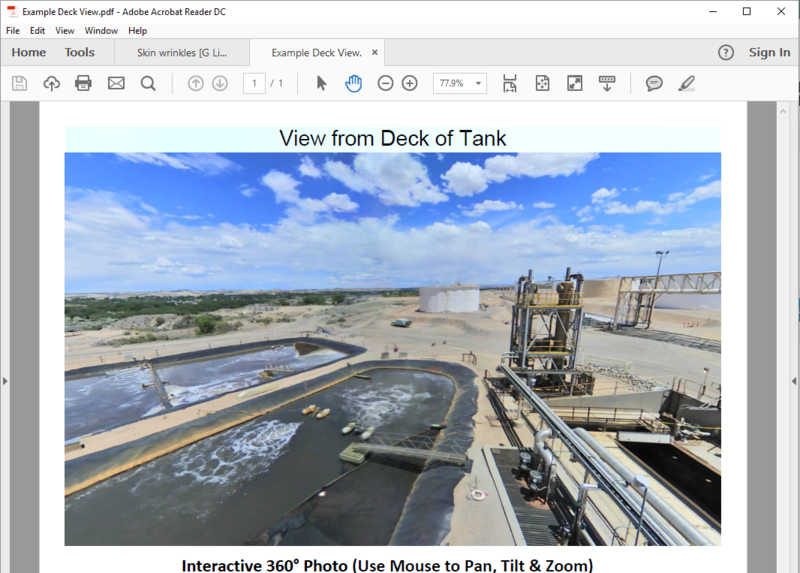 No other software needed, no CAD file, no polygons; PDF3D software automatically takes the image and turns it into a 3D PDF retaining all the qualities of the original 360 photo. When photographers work with very large files, it is common to experience a loss of fidelity or crispness through the workflow– but not with PDF3D’s new solution. 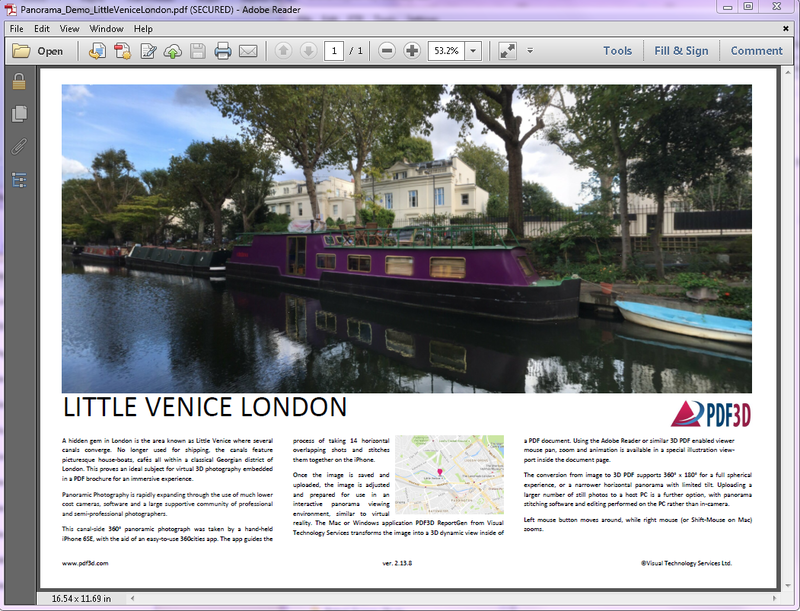 Driven, as always, by working closely with our clients to meet their demanding requirements, our talented development team have created a new technical solution, unique to PDF3D, to preserve sharper, higher resolution 360 images in PDF. Our enhanced texture optimization menu enables you to preserve the clarity of large panoramic photos, geospatial landscapes, police forensic scenes, scans and reconstructions so that your images can be fully appreciated and understood as you intended. 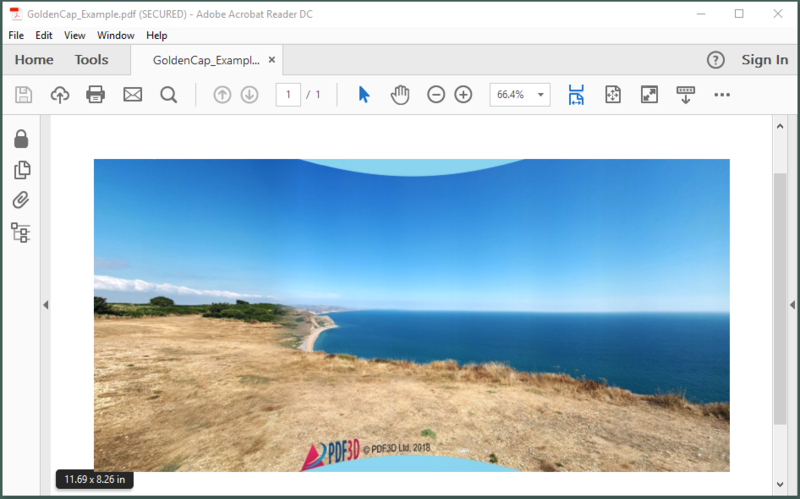 PDF3D technology allows anyone to view a panoramic image in 3D without having to purchase any additional software or a special viewer all you need is the free Adobe Acrobat reader. This makes it much easier to share your 360-degree photo with anyone without sacrificing the full VR viewing experience. 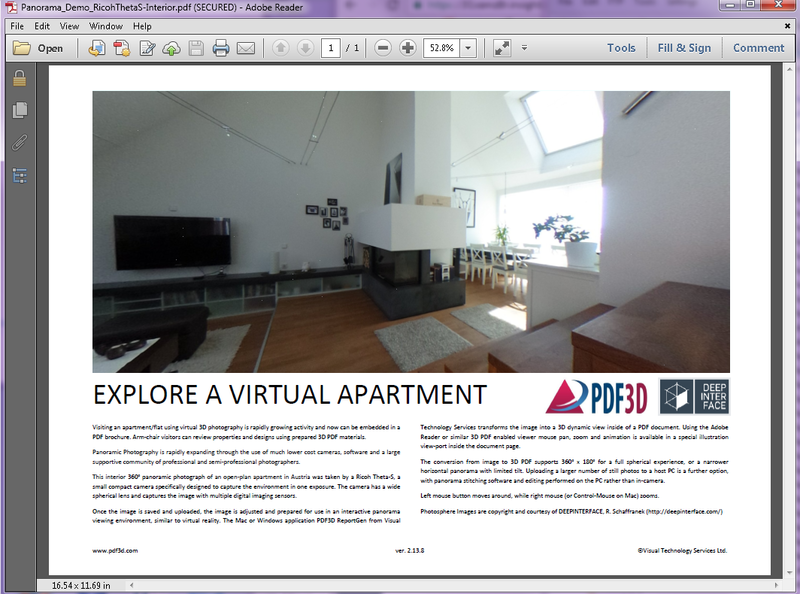 PDF3D conversion enables you to embed your 360-degree photos in a self-contained, standards based, PDF document... This allows you, and any recipients, to view that image in a secure, encrypted file on or off line. - enjoy the full VR viewing experience without an Internet connection, anywhere! We’re all about optimizing the technical workflow to make the best possible use of the hardware configuration you have. We recognize that not everyone – especially clients who may receive 3D outputs – has access to high-end computers or laptops with the latest processors, high end graphics cards and oodles of RAM to view large graphic files, so we’ve made clever use of our smart technology to give you, and them, a more effective viewing experience.